» Up Next for Nate Silver: Hollywood Superstardom? 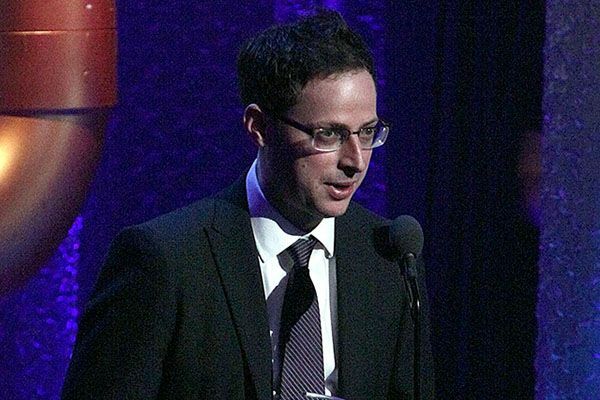 Up Next for Nate Silver: Hollywood Superstardom? “Hey, Nate Silver, you just bested a nation of screaming pundits by correctly predicting the presidential election outcomes in all 50 states — what are you gonna do now?” Basically, according to The Hollywood Reporter, anything the hell he wants. As you probably already know, seeing as you are currently on Grantland.com and everything, Silver came up as a hotshot statistician for Baseball Prospectus (the namesake of this very blog!) before transitioning into voting analysis with the 2008 presidential election. An all-around stalwart performance cemented him as a campaign statistician par excellence, and he’s been doing solid work for the New York Times for years now. But things got really really real for Young Nostradamus just this past month, when his pre-election work was proved resoundingly accurate. 50 out of 50, motherfuckers! Maybe another book? His best seller The Signal and the Noise climbed back up to no. 2 on Amazon after the election. Presumably this new book, if he were to write one, would be about his work on the election. But Silver’s so hot right now, he could probably write about how turtles are really noisy when they mate and still ship millions of units. How about The Nate Silver Show? Our dude says he’s been approached about programs that would look at “how statistics are shaping society and how they can solve problems.” I say go further. Can we make Nate into an Oprah-like figure of goodness and inspiration? Can he run the numbers on what the hell it is that we should be doing with our lives? Also: He “seems open to the possibilities of applying his methods to the realm of box-office data. ‘It’s a fascinating little world,’ he says. ‘It’s a place where maybe some people are doing things in a very sophisticated way and some people are doing things in a nonsophisticated way, so I feel like it’s a place where you could have a Moneyball-style appraising. '” Everyone who currently does box office analysis: Nate Silver is about to make you irrelevant; get your goddamn résumés together. And lastly: “For now he has remained noncommittal, instead focusing on a possible trip to Argentina. ‘It’s summer down there,’ he notes. ‘I love South American food, and I haven’t really been down there. I really need a vacation. '” How does he know it’s summer down there? How does he know?! The funny thing is, what’s with all the speculation? Nate Silver knows exactly what the future holds, because Nate Silver is a witch.